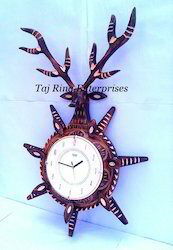 Leading Manufacturer of decor deer head wall clock, deer head sword wall clock, vinatge mini wall clock, vintage wooden sun leaf clock, wooden sun leaf clock and wooden wall clock from Roorkee. 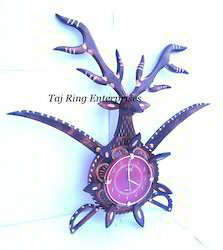 This large wall clock adds accent to your home or office.This piece also makes a great house warming gift.Design Nautical Wall Clock Its Best Gift For CollectorsBeautiful Large Wall Clock Stylish Nautical Wooden Clock Awesome Style Collectible Nautical Hand made replica Wall Clock This Is stylish Nautical Wall Clock Awesome Style Sun Shape Deer Head Wooden Wall Clock . 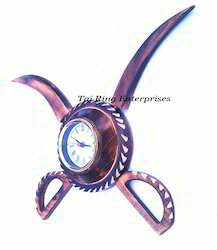 This piece also makes a great housewarming gift.Design Nautical Wall Clock Its Best Gift For CollectorsBeautiful Large Wall Clock This large wall clock adds accent to your home or office. 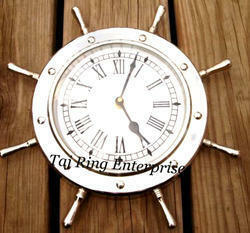 marine & maritime replica gift clock . 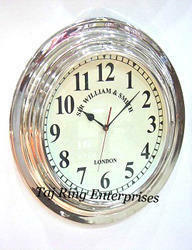 "sir William & Smith London" Wall Clock ..
Amazing Style Nautical Hanging Clock Its Made of brassAll work is hand made Collectible Brass Awesome Wall Clock t is Used For Home, Station, Office, Company Decoration.This is Beautiful Marine Wall Clock. 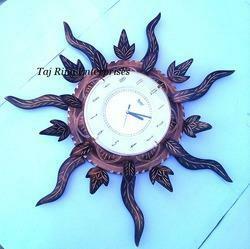 Stylish Colored Wall Clock.. 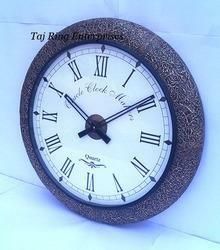 Clock Dia:- 19cm. 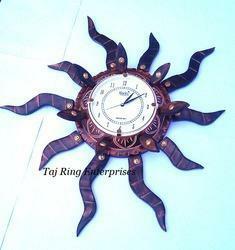 , Ht:-68cm., Wide:- 29cm. 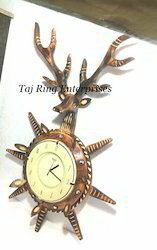 Clock Dia:-10" , Full :- 16", Wide:-3"
This is Beautiful Marine Wall Clock.Full Brass Marine Hanging Wall Clock Its Best gift for collectors This is beautiful wall clock for amazing style.It is Used For Home Decoration.Its Beautiful Hand Made Replica Brass NAUTICAL Wall Clock marine & maritime replica gift clock .Available in more different sizes.Stylish Wall Clock Comes With Awesome Look With Dial Engraved.. 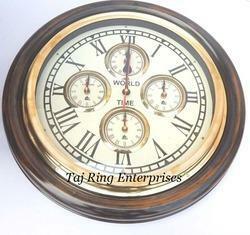 This is Beautiful Marine Wall Clock.Best gift for collectors. 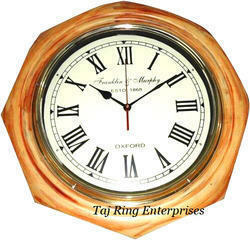 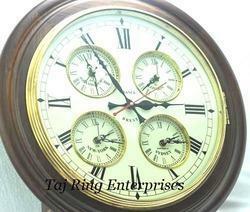 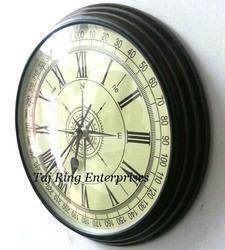 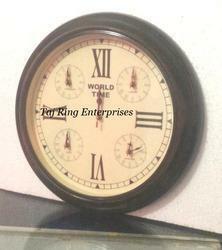 This large wall clock adds an antique accent to your home or office.This piece also makes a great housewarming gift. 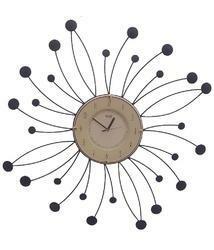 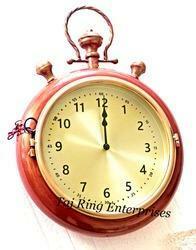 This large wall clock adds accent to your home or office. 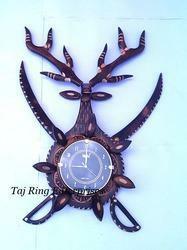 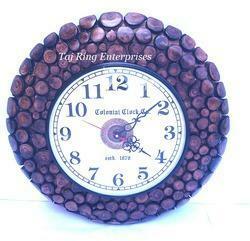 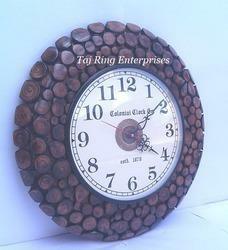 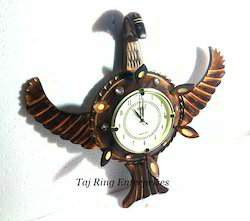 It Is Used For Home Decoration.this Is Beautiful Marine Wall Clock. 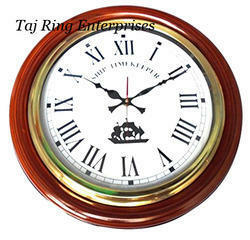 Best Feature Of This Wall Nautical Wall Clock Available Is Different Sizes This Large Wall Clock Adds An Antique Accent To Your Home Or Office.this Piece Also Makes A Great Housewarming Gift. 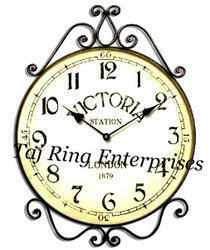 This Is Beautiful Antique Brass Wall Clock .. 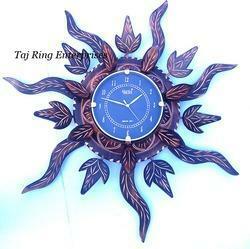 This is beautiful wooden wall clock for amazing style.It is Used For Home Decoration.This is Beautiful Marine Wall Clock. 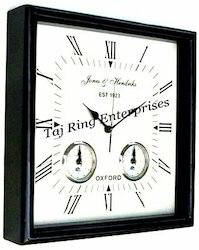 BEST FEATURE OF THIS WALL CLOCK GIVES U " FIVE " TIMENautical Wall Clock Available is Different sizes 6", 8", 14" , 16", 18", 22"This large wall clock adds an antique accent to your home or office.This piece also makes a great housewarming gift.